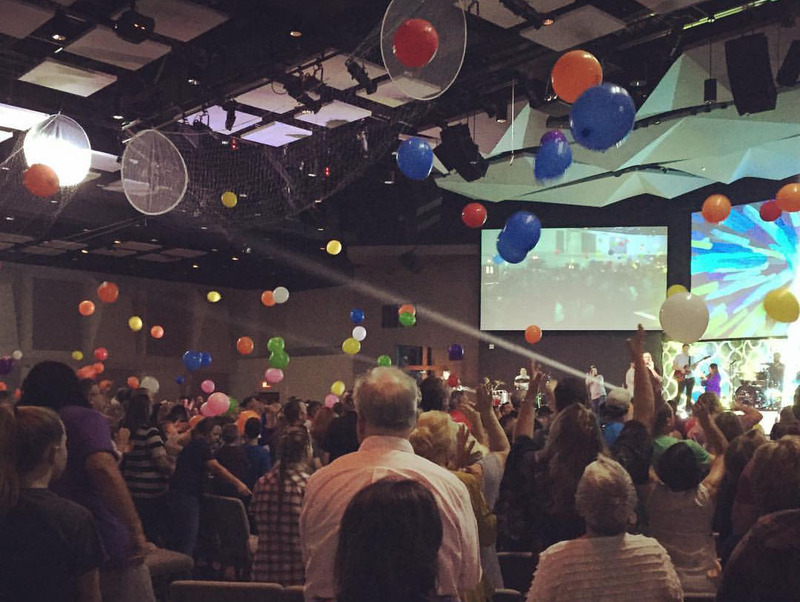 What do 900 balloons have to do with our most recent night of worship? Well, everything…. Following up on our “One” series from January, our Palm Sunday night of worship kept the theme with a new twist as we worshipped through Romans 5 together as a church. We focused on how through ONE man sin & death came into the world (Rom 5:12-14), but through ONE man came grace and life. 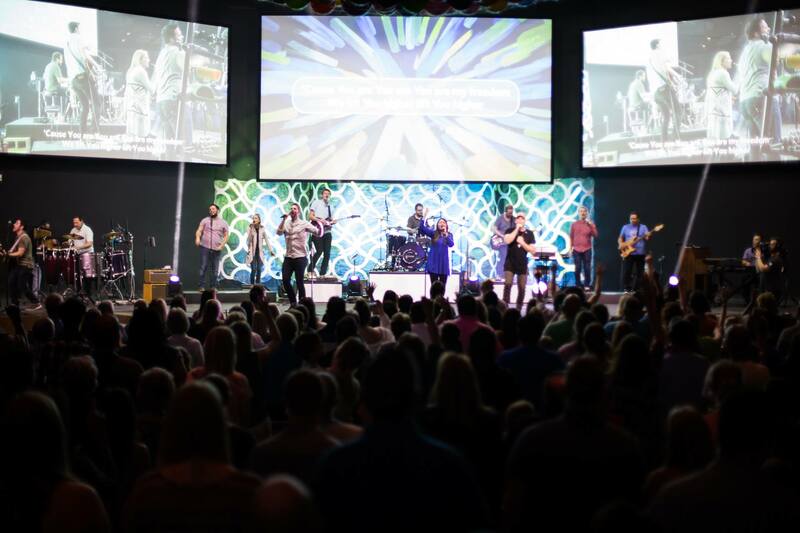 We had a great time worshipping together with a ton of cool songs, videos, and other elements. The flow began with a more introspective/serious tone that built into a celebratory time of worship where we rejoiced in our being made alive in Christ. 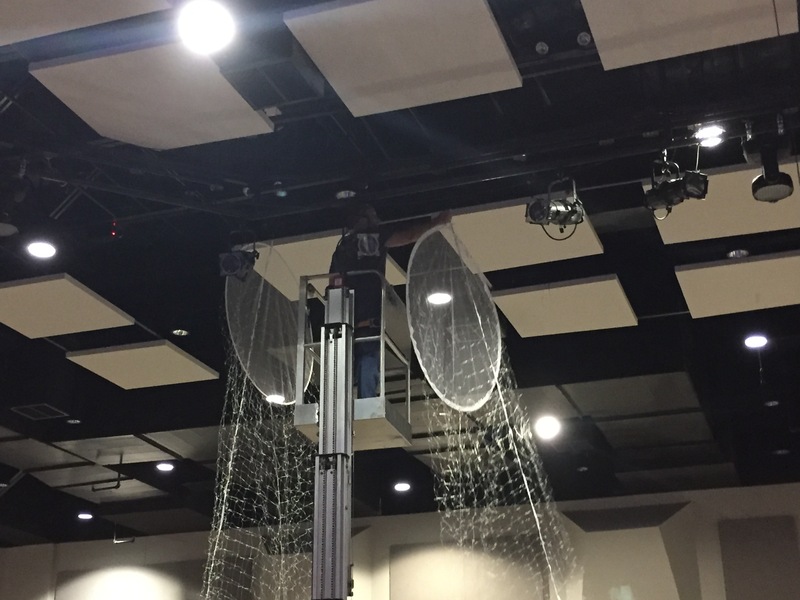 As we finished singing “Alive”, we dropped around 900 balloons into our full worship center as people cheered, clapped, and batted the balloons all across the room. For most, they assumed this was the big finale for the evening. 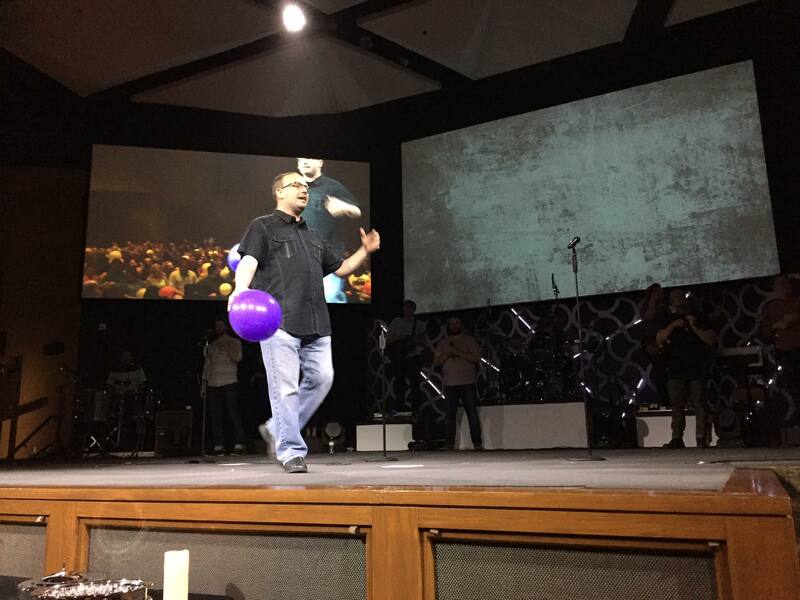 However, as Pastor Scott from our Mansfield West campus took the stage, our attentions were quickly redirected. 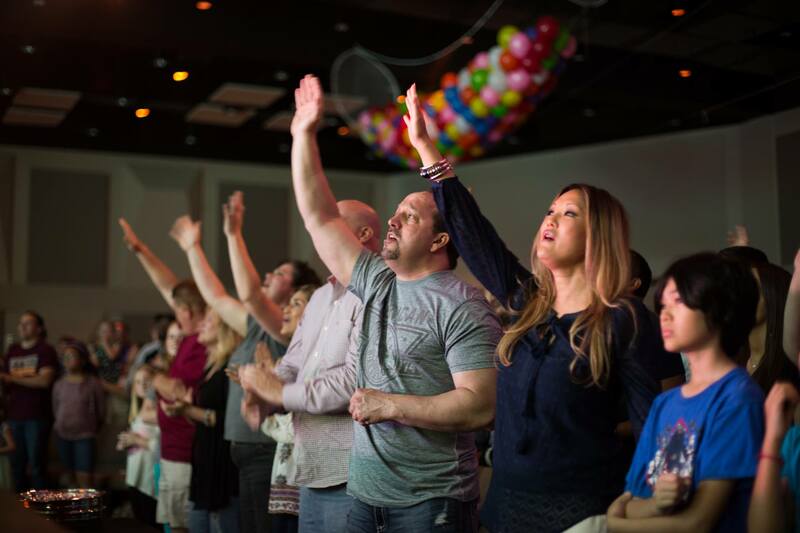 He pointed out that while those of us who follow Christ celebrate the awesome news of the resurrection (as we should) , there are thousands of people around us who are still far from God. Thousands who need to hear the same message of Easter that we had been cheering for moments earlier. Because as long as they are separated from their Creator, they do not have the same hope or joy. 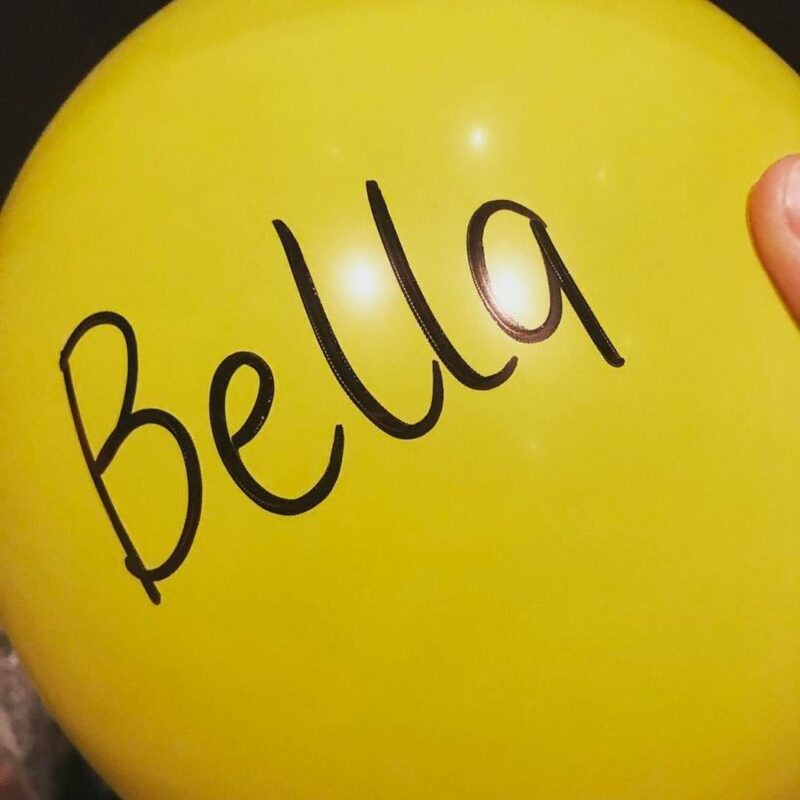 What people didn’t realize initially was that every balloon flying around the room had a name written on it. These names were the same ones we had recorded a few months earlier. These were names of specific people who were still far from God that we as a church have committed to pray for every day. 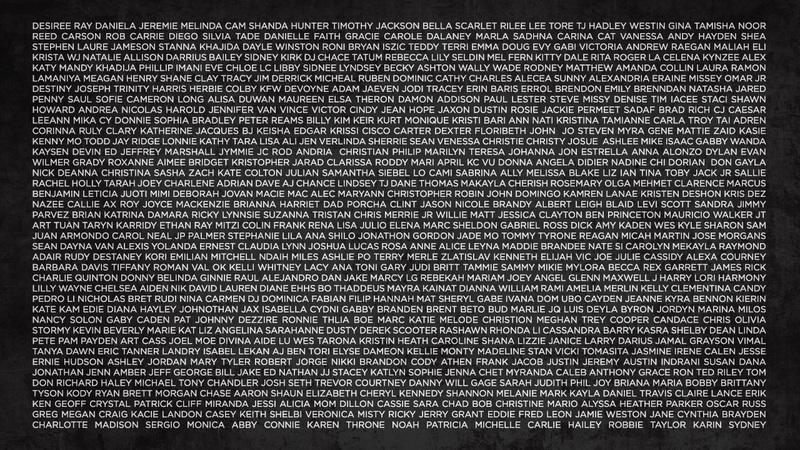 These names were family members, friends, neighbors, and co-workers of members across all four of our local campuses. And while we celebrated, they still needed to experience the love of Jesus. And so we prayed. We prayed out loud for boldness, conviction, and mercy. We prayed that they would open their hearts to the gospel. We prayed that our church would not forget their journeys. We prayed for grace and for mercy. This was an incredible moment and sobering reminder of both the privilege and responsibility that the church has to pursue the lost with great resolve and compassion. We all walked away challenged & inspired to be the hands and feet of Jesus. And this special moment was made possible by amazing RC Creative volunteers just like you. 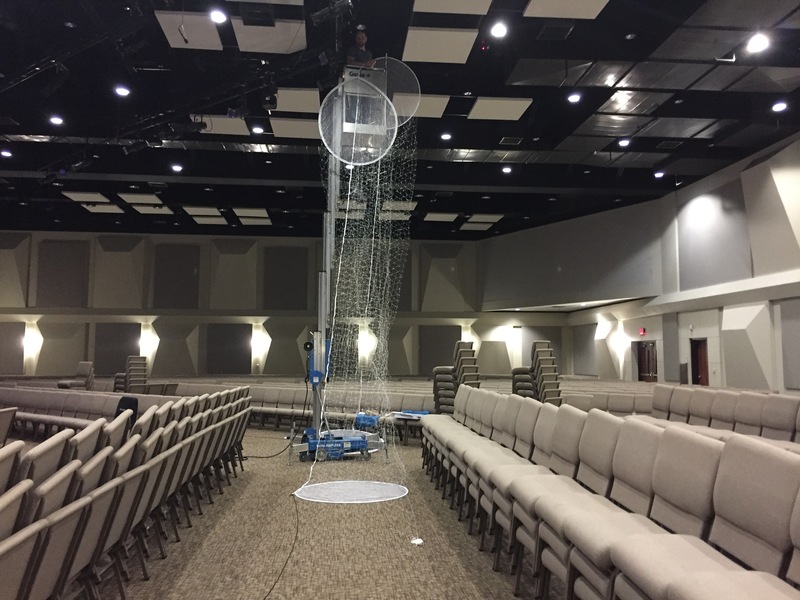 A balloon drop seems like a simple element, but it took hours of preparation and hard work to make those 30 seconds work properly. 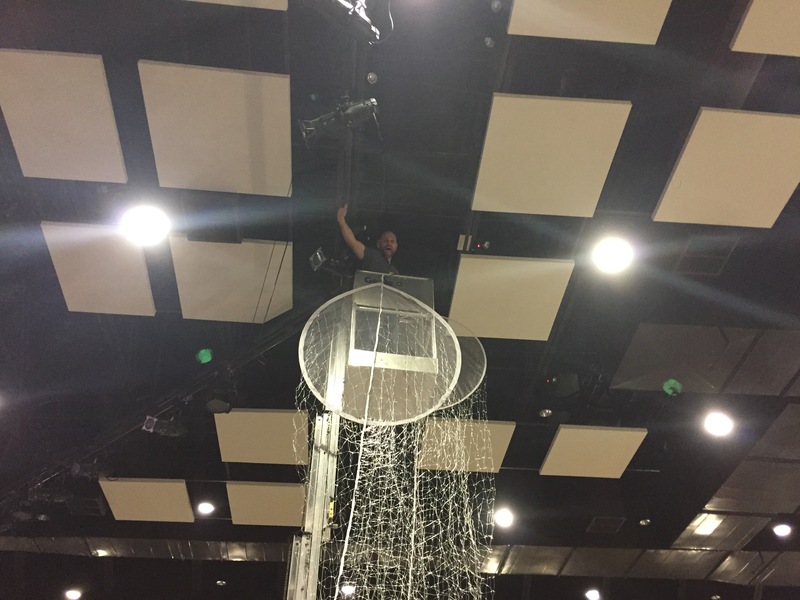 A special thanks to Curt Hale for overseeing this entire project and leading a team of RC Creative folks in hanging drop points, blowing up balloons, writing names, and more. We couldn’t have done it without all of you!